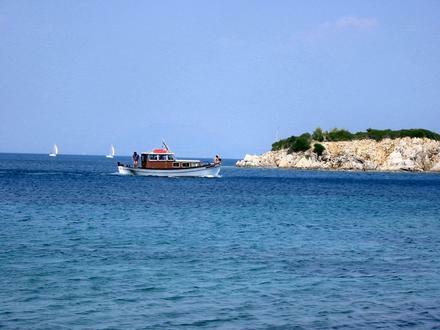 The Ionian Sea is one of the most idyllic cruising areas of the Mediterranean. The lush green islands hug the western coast of Greece and are distinguished from most of the other Greek Islands by their fertile land. High rainfall in the winter ensures that the hills are covered with olive grooves and cypress trees that run all the way down to the turquoise sea. Closer to the villages, the cottages growing figs, grapes, apricots, peaches and many other delicious fruits will make you want to jump over the fence and taste everything! Most of the islands are only a few miles away from each other which makes it an island hopper's paradise. You can sail as little or as far as you wish each day. The contrast of lively resorts and quiet fishing villages is undoubtedly among the many reasons that make this sailing area so attractive. And the hospitality of the locals is famous. Whether you walk through the little alleys of a village or wondering around the quay where fishermen are mending their nets, you will often be invited to have some ouzo and a few tasty bites with them! The turquoise clear waters and the unpolluted sea make you want to snorkel for hours. Just looking over the side of the yacht, you can see every detail of the bottom even at a depth of 30 meters! And of course you can feed the shoals of fish swimming around the keel searching for food. 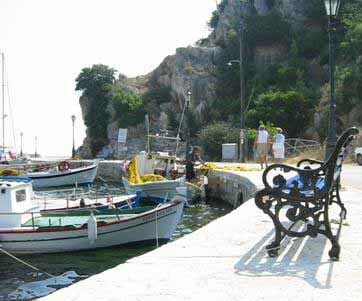 There are seven bigger islands starting from Corfu in the North and stretching as far as Zakinthos (Zante) in the South. Moreover, there are around 80 smaller ones, some inhabited and many uninhabited, waiting for the more adventurous to explore them! Many of them are quite famous. 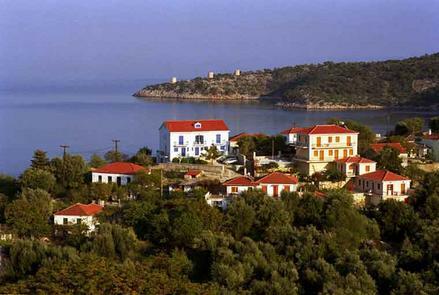 'Scorpios' for example, is the privately owned island by the family of the great ship owner Onasis. You may be able to catch a glimpse of his grand daughter Athena who recently became 18 years old and thus inherited his unimaginable fortune!!! The Ionians have a great history which goes all the way back to the stone age! This is where Odysseus started his trip for the Trojan War, and where he finally managed to return with his boat almost 20 years later and after many sailing adventures in the Mediterranean. When you visit his gorgeous island (Ithaca) you will understand why he had this great will to come back. The islands were occupied by Venice for 400 years and that left an interesting touch on them, with beautiful Italian buildings, sculptures and other works of art mainly in Corfu and Zakinthos. Just to the east of the islands unfolds the western coast of mainland Greece. Its curly coastline forms many pretty little bays with fishing villages, and it is a beautiful area to visit. The gentle coast gives its place to massive forest covered mountains as you go further inland. 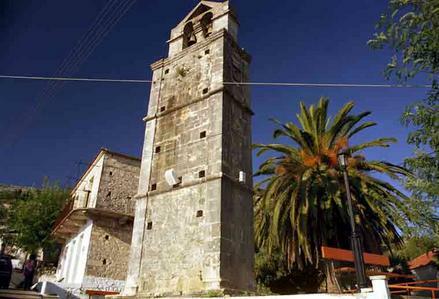 An area of special interest is Ambrakikos Gulf to the north-east of Lefkas. This is a paradise for wildlife as its entrance from the sea is so small that it's almost a lake, with its water just a bit saline. Two big rivers originating high up on the mountains constantly empty their waters in it. The northern coast of Ambrakikos does not offer much interest as it consists of lowlands, but the southern one is covered with green hills and is easily accessible by yacht as the area is not silted up. Overall, the western side of Greece is one of the most beautiful corners of the Med. Its lush vegetation, beautiful azure sea, local culture and famous hospitality make it a paradise on Earth.